There is no "silver bullet" for proper publication design or format and the Index element is no exception. 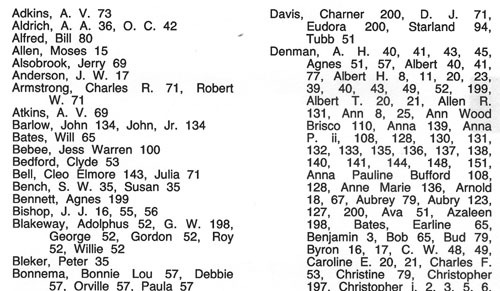 Below are some examples of indexes in published books. 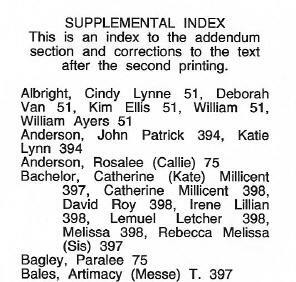 Click here for a listing of free "personal use" indexes that may provide different formatting insights. This area will be growing, so check back often. If you have a suggestion, let us know and we may just publish it here - crediting the source, of course! G550-$20.00 WRITING Family History Or Genealogy For Pleasure and Profit Complete Edition, by Gregath Company, Inc., *updated* 2015. ISBN: 978-0-944619-00-1, 8½x11", softbound book, 132 pages, suggestions & examples of all facets of your project for the typist and/or computer user. Note: All G prefix books 100 pages or more, this one included, that are SB can be special ordered in hard cover edition - contact for details. Also available on disk. | Click here for more information.